Joseph Benjamin has joined the cast of the drama series that was commissioned by Oprah Winfrey Network and Lionsgate TV. Joseph Benjamin has landed himself a role in one of the many drama series on Oprah Winfrey owned network, OWN. 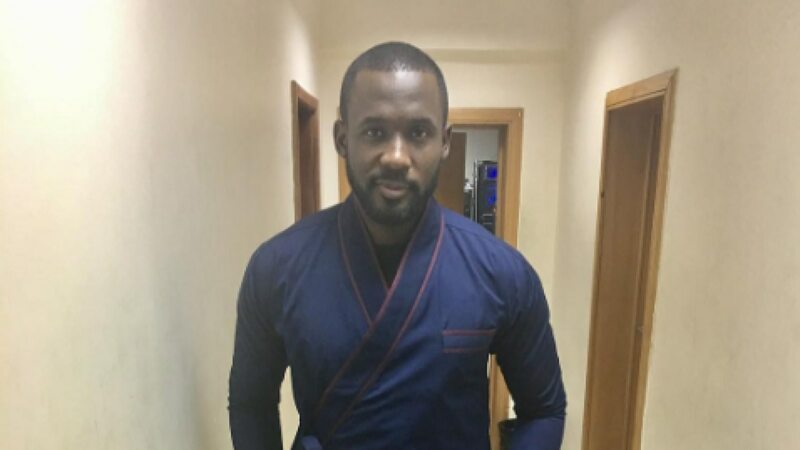 The Nollywood actor has joined the cast of the drama series that was commissioned by Oprah Winfrey Network and Lionsgate TV. The former host of talent reality show, MTN Project Fame, joined the series playing the character of &apos;Mr Joseph Obi,&apos; the new accountant to the Greenleaf family&apos;s sprawling Memphis megachurch with predominantly African-American members. Joseph&apos;s first role saw him acting opposite Kim Hawthorne, who plays the role of Kerissa in the drama series and Lamman Rucker. Joseph Benjamin made his mark in Nollywood playing roles opposite some of Nollywood&apos;s best like Nse Ikpe Etim, Richard Mofe Damijo, Dakore Egbuson, Uche Jombo and Funke Akindele. &apos;Greenleaf&apos; is an American television drama series created by Craig Wright and executive produced by Oprah Winfrey and Lionsgate Television. The drama series features Keith David, Lynn Whitfield, Merle Dandridge, Kim Hawthorne and Lamman Rucker. The drama series premiered on the Oprah Winfrey Network on June 21, 2016 and has been running since then. &apos;Greenleaf&apos; plot follows the unscrupulous world of the Greenleaf family with scandalous secrets and lies, and their sprawling Memphis megachurch with predominantly African-American members. The series&apos; lead characters are Bishop James Greenleaf (David) and Lady Mae Greenleaf (Whitfield), who are the patriarch and matriarch of the Greenleaf family, and Grace Greenleaf (Dandridge), their estranged daughter who has returned home after 20 years following the mysterious death of her sister, Faith.